As we were leaving the paralyzed city and the country, we too were facing a journey, though rather than flight, it turned out to be a return. 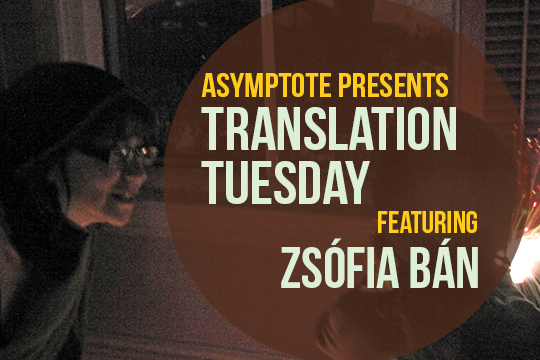 An award-winning fiction writer, essayist, and critic who grew up in Hungary and Brazil and now teaches American literature, Zsófia Bán is no stranger to forking paths; the roads not taken. Her beautiful essay below segues quickly from house-moving to the broader and richer philosophical theme of derailment against the backdrop of the ongoing refugee crisis. We hope you like it as much as we do. Tumultuous, yes, tumultuous is what the summer of 2015 was. An unruly, riotous, tempestuous, bewildered summer, ravaged by the lack of order. Only the weather would not stir, hellbent on keeping up the atmospheric conditions prevalent since the beginning of summer. All heat records were broken, with temperatures close to 40 degrees recorded in July and August. We were clearly making meteorological history in Europe. The dull blanket of heat paralyzed our reason just enough to keep us from realizing the obvious until it was too late: history was being made, quite apart from the weather. In fact, the masses, the tumult of refugees pouring through the southern border, then the large families stranded in railway stations in the heart of our city, the gathering of desperate, exhausted people robbed of almost all their possessions warned us clearly enough, that this was the time, here and now, of fateful events. As we were leaving the paralyzed city and the country, we too were facing a journey, though rather than flight, it turned out to be a return: the compulsive, perpetual return to memory, to absence, to the relentless rigor of facts. On August 3 we packed the car and set out for Berlin. With an ingenious space-saving trick we packed the child’s plush animals into plastic bags shrunk with a vacuum cleaner, so even the plumpest specimens were docilely flattened to two dimensions. 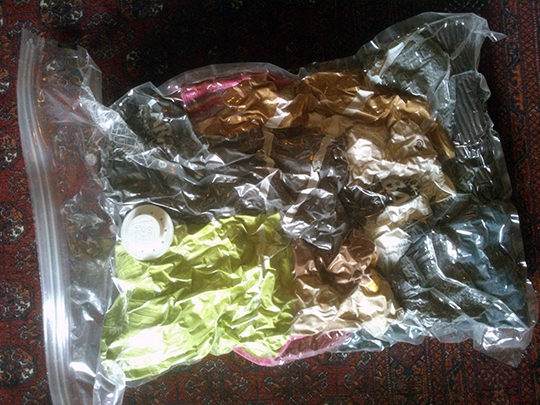 Once taken out of their plastic bags upon arrival, they slowly regained their original dimensions: the breath of life gradually returned into them. Zserbó, the giant owl was the first to come to, then Dr Czuki-Czukermann, the anteater and finally Menyus, the ferret, Pöpe, the parrot and the rest, the whole sizeable coterie. The child greeted each miraculous resurrection with a dance of joy: her friends were saved, we had outwitted Archimedes or one of those types. The death news that came the day after our arrival flattened us to two dimensions the same way, except we held no hope of ever regaining our original shape. Remembrance, however alive, is inevitably flatter than the tumultuous nature of presence, the noisy, confusing, disorderly and yet, by virtue of the senses, coherent presence which only one word fits: the person’s name. The name that refers to the single being who is the sum of her traits: the voice, the gait, the colorful fabric of her mind, the fears and desires, the betrayals of the body, the dreams, and the loneliness. Her name is a message inscribed in stone, the imprint of sea-waves on prehistoric geological strata.